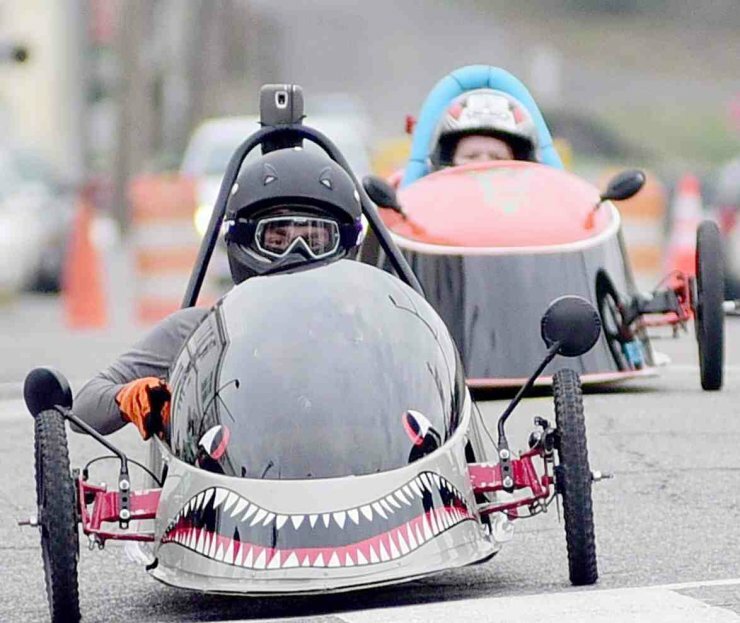 The Haleyville Center of Technology (HCT) is having an electric car race this Saturday morning on on the streets next to Haleyville High School. The first race is at 10 a.m. 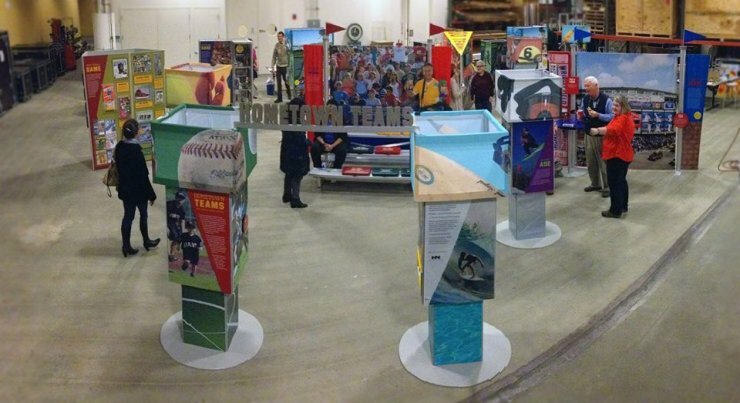 The race is to promote STEM projects at the HCT. The public is invited, but come early, 20th streets and 20th Avenue will be closed for the race. The Haleyville City Hall was packed with people for the open house on Monday afternoon. 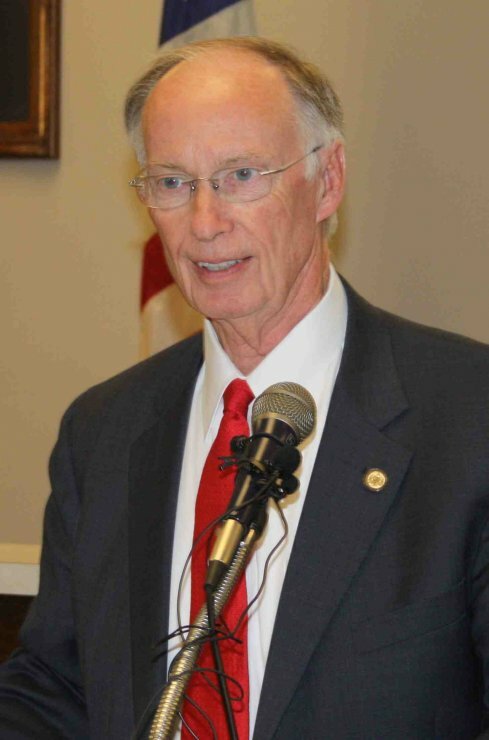 Governor Robert Bentley and Congressman Robert Aderholt both spoke briefly commending the city, and especially Mayor Ken Sunseri and the council for the new facility which will serve the city for many decades to come. At 5:30 the Council held their bi-monthly meeting. The Council first established a pay scale for part-time police and fire dispatchers then approved advertising for part-time dispatchers. A change order for backstops at the new sports complex was approved, adding additional angled fencing to the top of the planned backstops. Discussion and action on the renewal of the RDS agreements, alcohol tax, business license, occupational, sales and use tax was tabled. The council voted to purchase a new Ford F-150 pickup fro Long-Lewis Ford in the Shoals for $28,704.50 for use by the head of the Street and Sanitation Department. 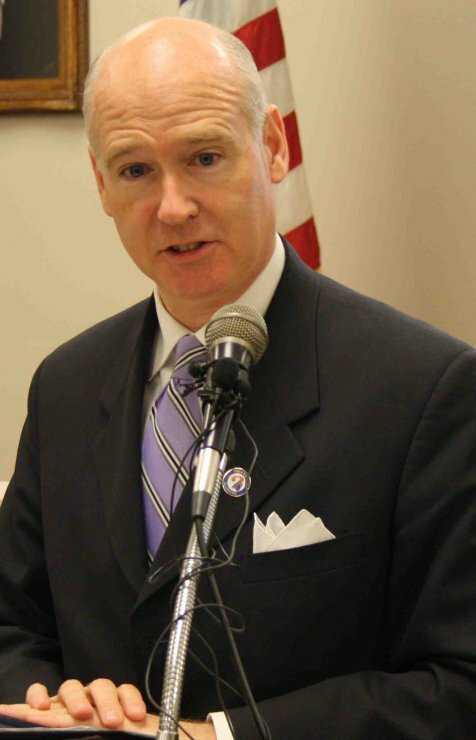 Mayor Sunseri announced the hiring of Wesley Marshall for the Street and Sanitation Department effective May 3. The next council meeting was rescheduled from May 16 to May 19 due to the League of Municipalities annual convention that week. The Haleyville Police and Fire Departments responded to a single vehicle crash Monday morning at 5:55 a.m. on 7th Avenue just south of Mineral Springs. 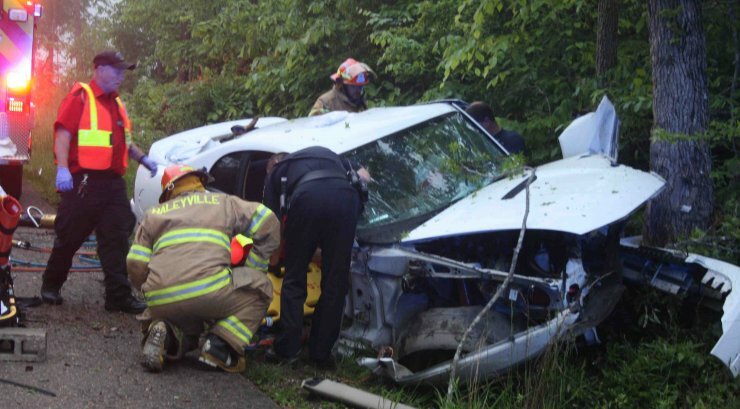 The driver, the sole occupant, of a late model Mustang was entrapped in his car after leaving the street and crashing into a tree. The driver, Michael Ellis Clark, 23, Bear Creek, was seriously injured and his car totaled as a result of the crash. 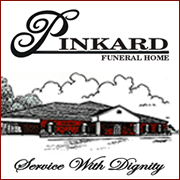 Clark was transported by ambulance to Lakeland ER. 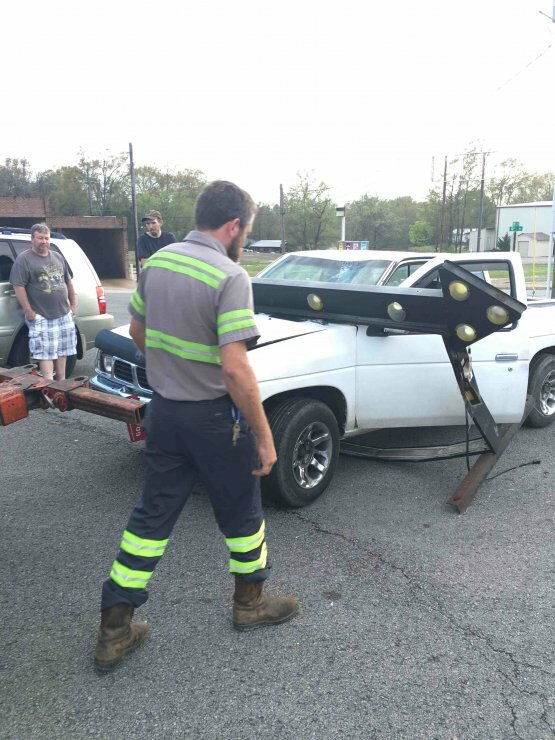 The accident is being investigated by the Haleyville Police Department. 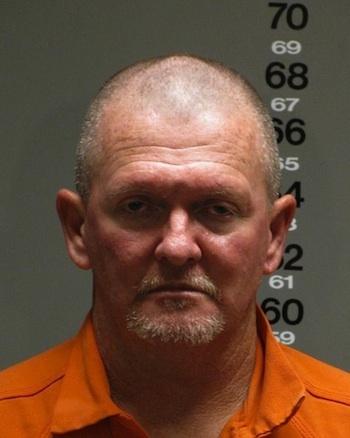 Alabama State Troopers assigned to the Marine Patrol Division, in conjunction with the Winston County Sheriff’s Office, on Monday, April 25, arrested and charged Sidney Ray Stockman Jr., 46, of Double Springs. He has been charged with two counts of Unlawful Possession of a Controlled Substance, one count of Trafficking Methamphetamine and one count of Unlawful Possession of Drug Paraphernalia. This arrest is the result of a traffic stop Troopers made on Alabama 195 in Double Springs. Located inside Stockman’s vehicle was 50 grams of Crystal Methamphetamine, as well as Methadone tablets and various drug paraphernalia. Troopers also located more than $1,600 in cash. Stockman was booked into the Winston County Jail and is being held with no bond. Winston County Sheriff’s Office and Double Springs Police Department assisted. Nothing further is available as the investigation is ongoing. Anyone with any information about this case or any other illegal activity is encouraged to call the SBI Hotline at (800) 392-8011. The Haleyville City School Board of Education met Tuesday night and approved the following items. A joint purchasing agreement to purchase Child Nutrition Program related items. The state-adopted textbook list in the subject area of science was approved along with the 2015-2016 coaching assignments list. The board approved the financial statements and board expenditures for March in the amount of $1,583,813. The board approved the use of school facilities for four events in April and May. One field trip and eight fund-raisers were approved. 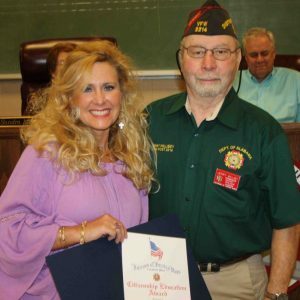 Under personnel, the board approved the retirement of Kathy Sutherland as paraprofessional at the Haleyville Elementary School and the resignation of Debra Millwood as an employee of the Haleyville Schools. Several students and teachers were recognized by their respective school principals and presented awards. 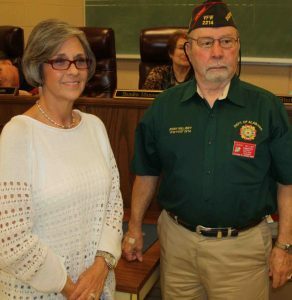 Three teachers were recognized by members of the Veterans of Foreign Wars (VFW). Vickie Crumpton was presented the Teacher of the Year Award for grades K through 5. Mandy McNutt for grades 6 through 8 and Beth Pugh Townsend for grades 9 through 12. 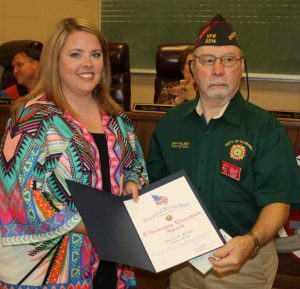 Mrs. Townsend was also the state VFW State Teacher of the Year. The next meeting of the Haleyville City School Board of Education will be Tuesday, May 24. 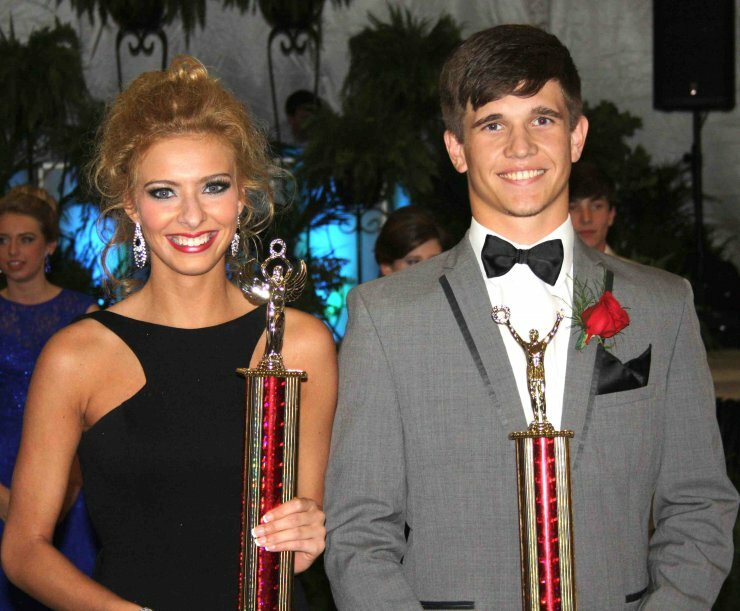 The weather was perfect and the Haleyville High Junior-Senior Prom was a huge success Saturday night at the Armed Forces Reserve Training Center. Congratulations to Hayden Ward and Amelia Townsend for being selected as Mr. and Miss Havala. The next big event for the HHS seniors just a month away will be graduation on Friday, May 27. 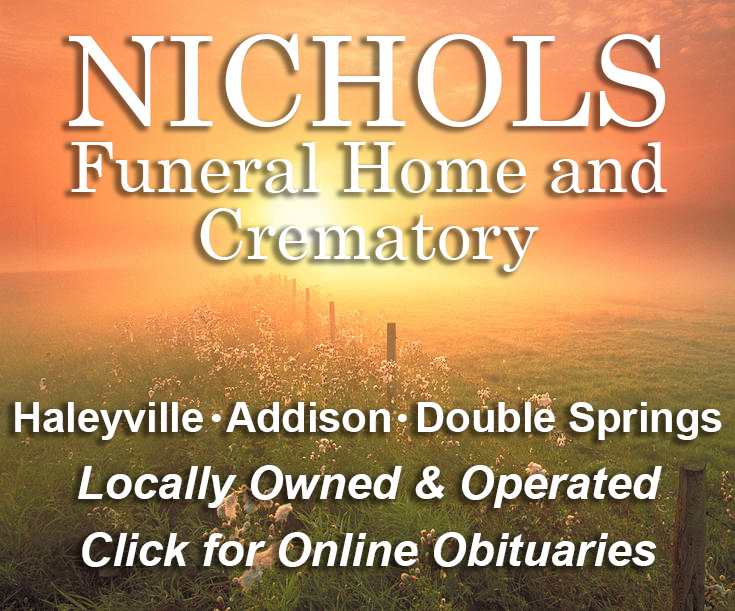 Thursday afternoon David Bailey, 56, Haleyville, was driving his 1996 Nissan pickup east on 19th Street behind the city library when he said he apparently blacked out. 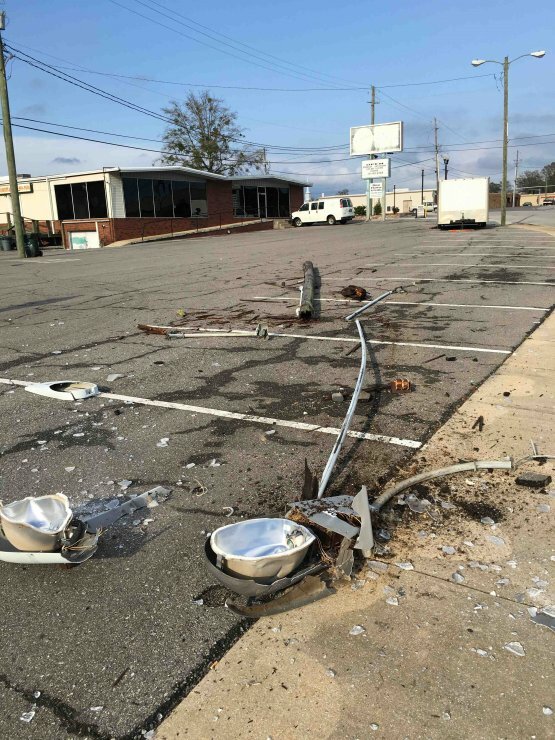 His vehicle left the road, knocked down a light pole, struck a trailer in and took out a portable sign in front of Dixie Flowers. He stopped in the Piggly Wiggly parking lot in front of the car wash.
Bailey appeared not to be injured as a result of the crash but was transported by ambulance to the Russellville Hospital ER.